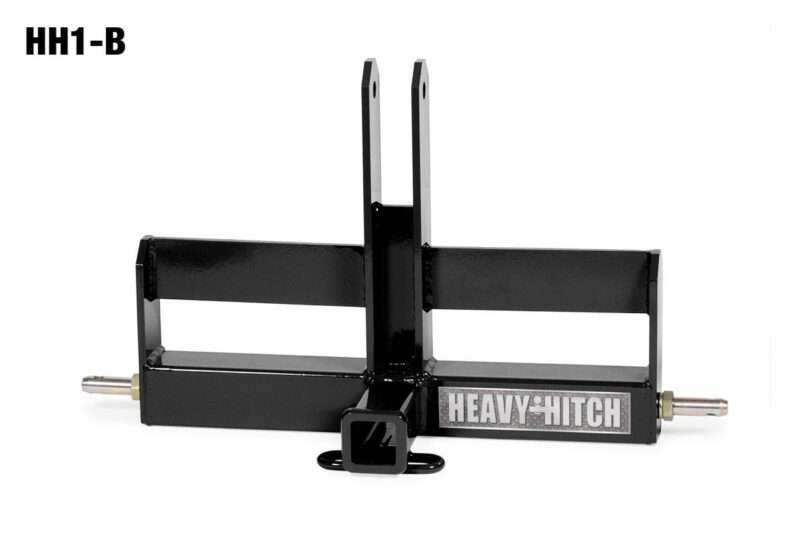 Super Duty Hitch has 3/16″ wall thickness on the lower 3″ X 3″ square tube opposed to 1/8″ on the regular and also includes a welded on 3/8″ chain hook on the receiver. Please see options to learn more. 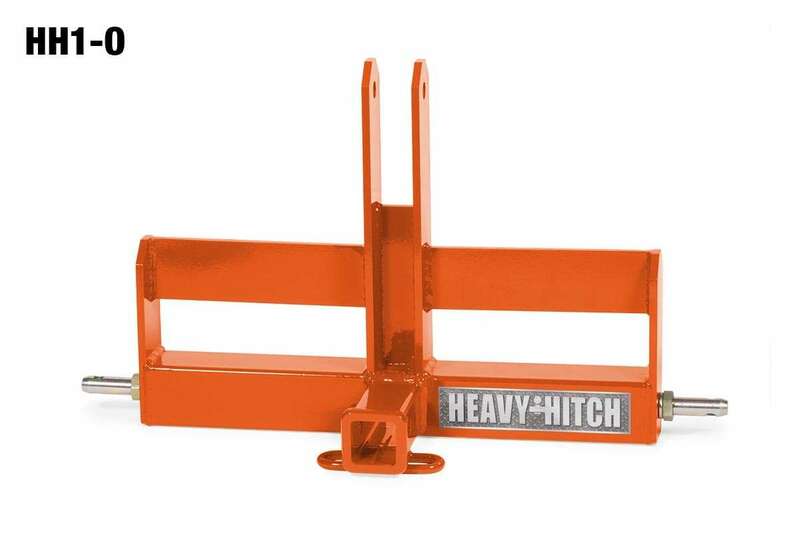 The category 1 Heavy Hitch is made for sub-compact and compact utility tractors up to 45 horsepower. This hitch will fit all category 1 three point hitches and works with most quick hitch and John Deere iMatch systems built to the ASAE Standard S278.6. 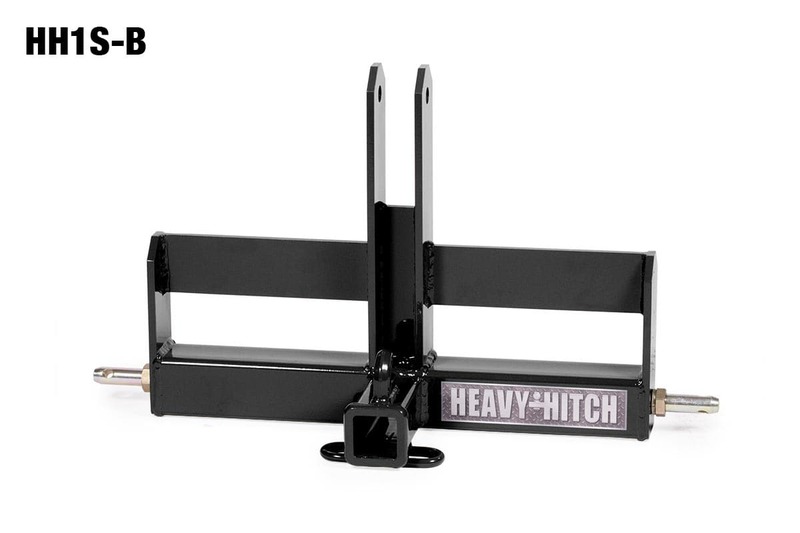 It comes with 7/8″ lower pins and uses a 3/4″ top pin and allows up to 8 suitcase weights to be attached in either direction forward or back depending on clearances. Category 1 tractors are rated 15 to 45 horsepower. Not sure if you have a category 0 or 1? 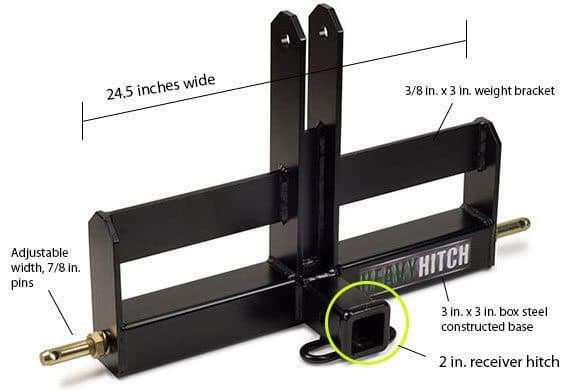 Just measure the lower 3 point hitch holes…category 0 will be 5/8″ diameter and 1 is 7/8″ diameter. Constructed of 3/8″ thick steel plate and 3″ square box tubing…no cheap angle iron and straps! 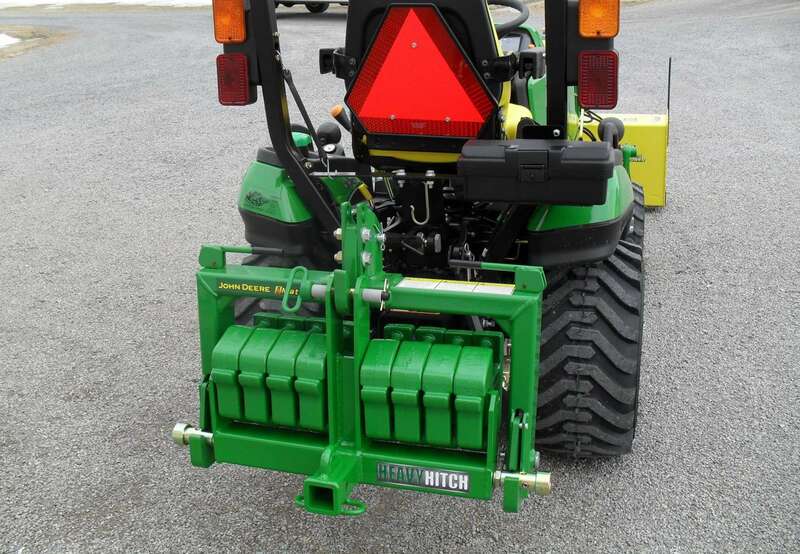 Will work John Deere part #R66949 or #R66949Y, 42 pound suitcase weights and other comparable weights from Massey Ferguson, Kubota, Case International, New Holland and others. As a professional fabricator I appreciate the excellent fit and finish of this product. THIS is what “Made in USA” is all about ! Very well packaged, well made, and prompt delivery! !